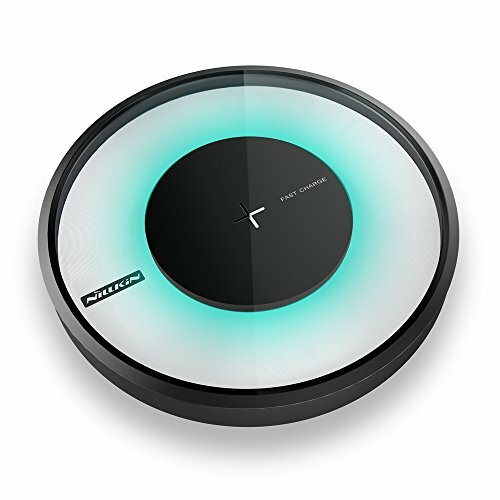  Supports---Magic Disk 4 supports 9V high speed fast charging mode, the charging speed increases by 40%. 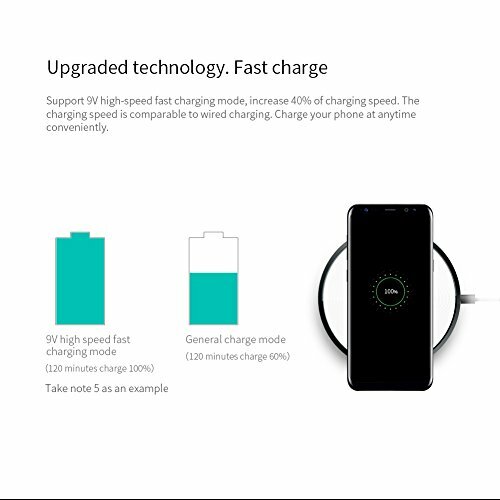 Fully Charged Samsung Galaxy S8 - 3h, S8+ - 3.5h. 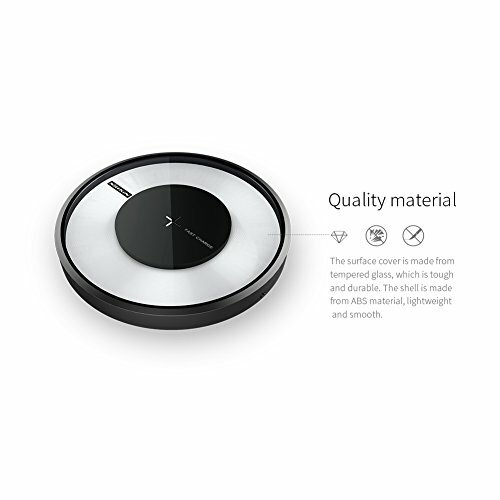  Quality Materials:Made from totally transparent circular tempered glass, the surface is solid and durable. 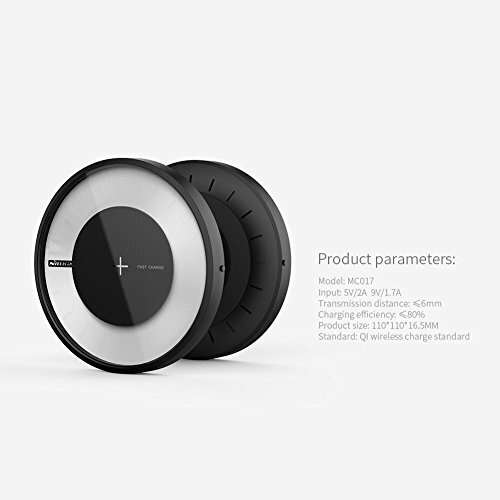 Made from ABS material, the surface is lightweight and smooth. 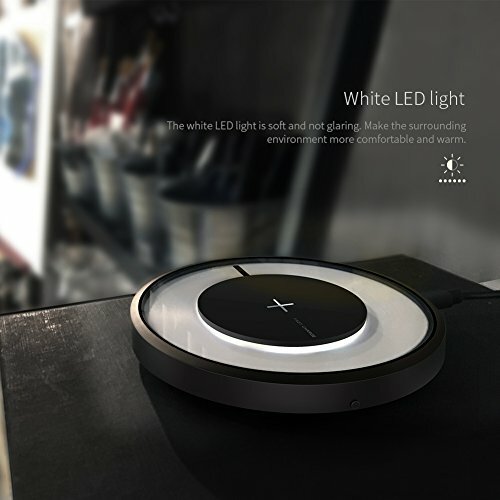  Smart light Sensor: On fast charge mode, it is high voltage input and when the voltage is unstable or higher, Magic Disk 4 stops working, which protects the device and phone effectively. When charging, the light is green. 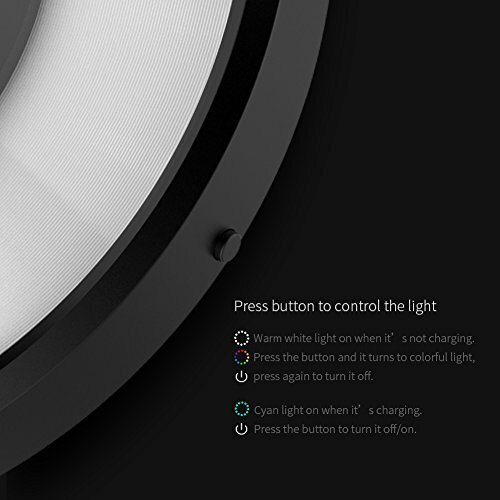 When pressing the button, you can turn the light on or off. 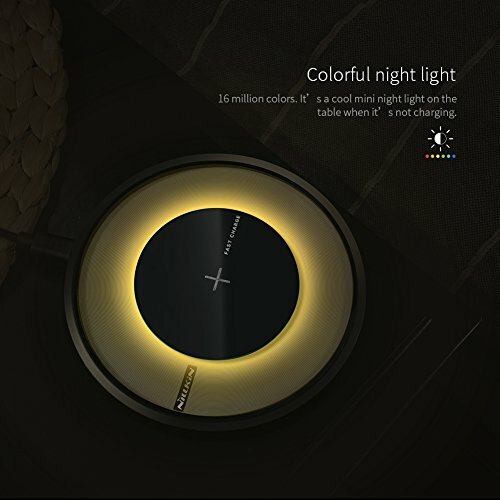 The light has 16 million colors. When not charging, it becomes a cool night light on the desk. 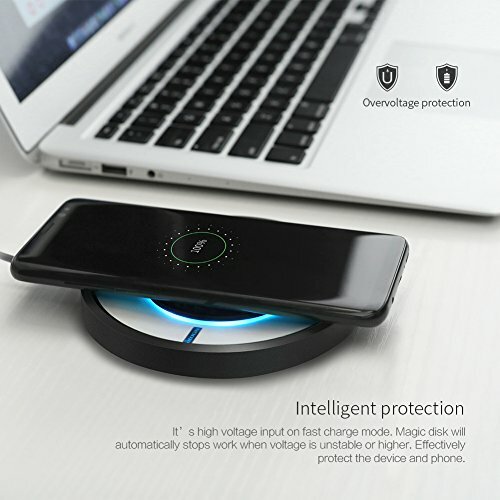  Note: Original iPhone accessories (cable & wall charger), which are included with your device DO NOT support fast wireless charging, they are only capable of regular old slow charging - Requires 5V/2A wall charger & cable. 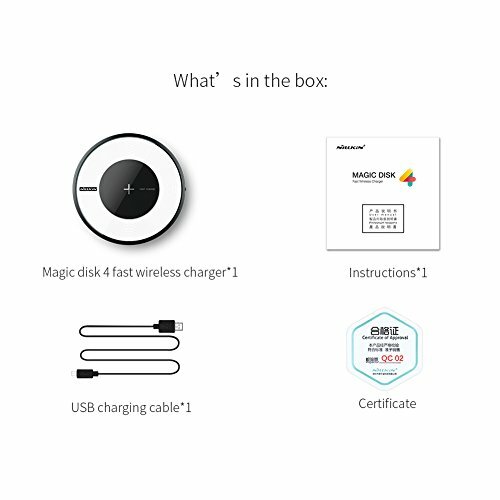 Also protective case is suggested to be removed during charging to ensure effective charging.